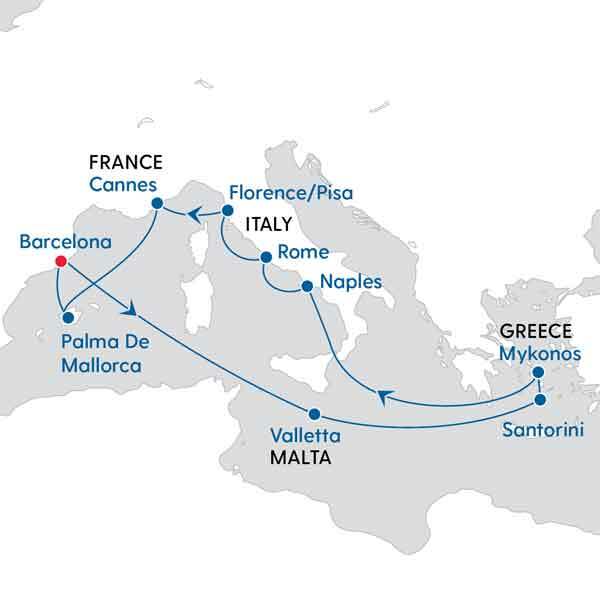 Discover the rich history and natural wonders of the Mediterranean through a 12-Day Grand Mediterranean Cruise. 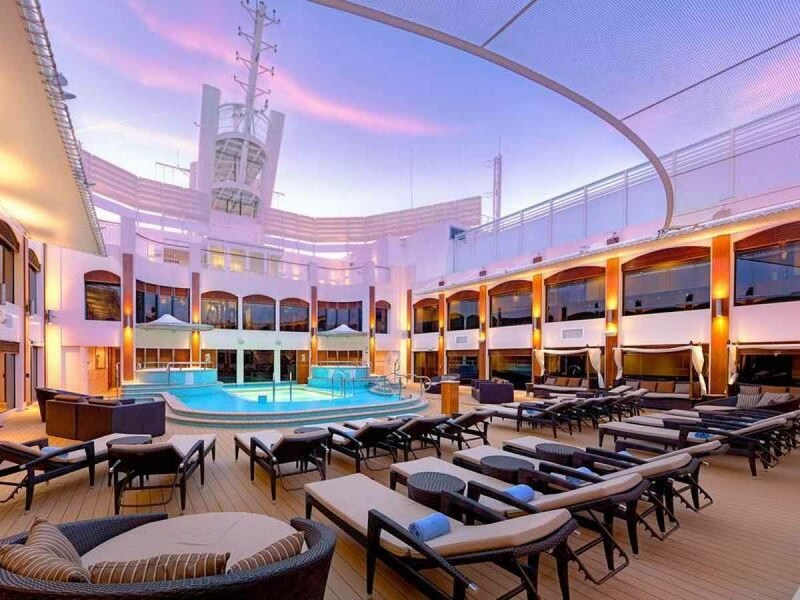 Let the award-winning vessel, Norwegian Epic by Norwegian Cruise Line, take you to another world. 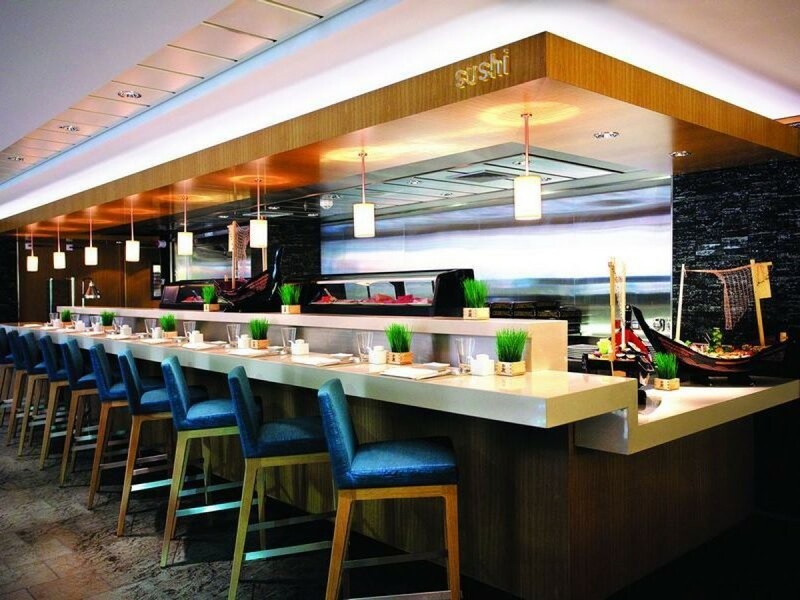 The Norwegian Epic carries 4,100 passengers and boasts from more than 20 different cuisine choices. Play a hand of Blackjack at the Casino, receive a spa treatment or take in a show at the onboard theatre. Rest assured you won’t be going thirsty on the Norwegian Epic. Enjoy a wide range of soft drinks, spirits, cocktails, wines by the glass and bottled or draft beer. Valued up to USD $2,850, your next drink will almost always be on us. 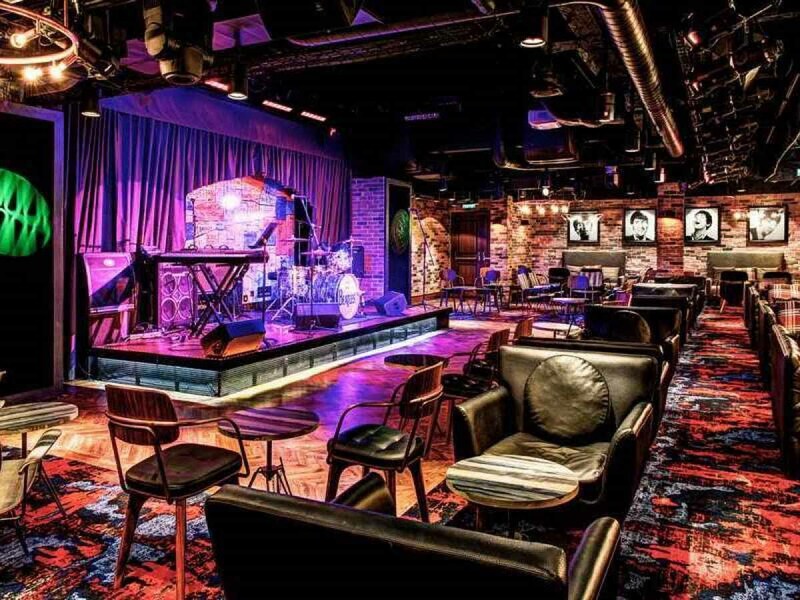 You won’t need to be digging through your pockets for tips on the Norwegian Epic. 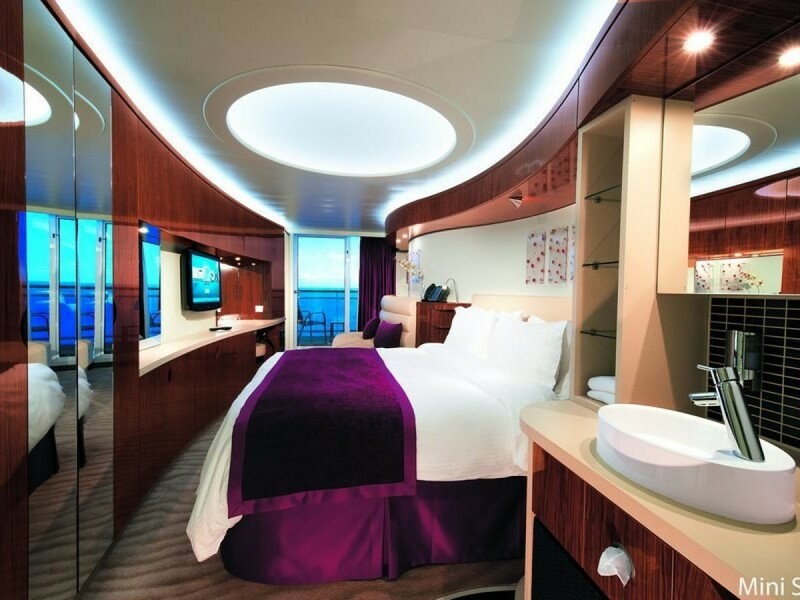 This exclusive 7travel extra prepays your gratuities before you even board the ship. Experience the cultural hub of Spain, Barcelona. 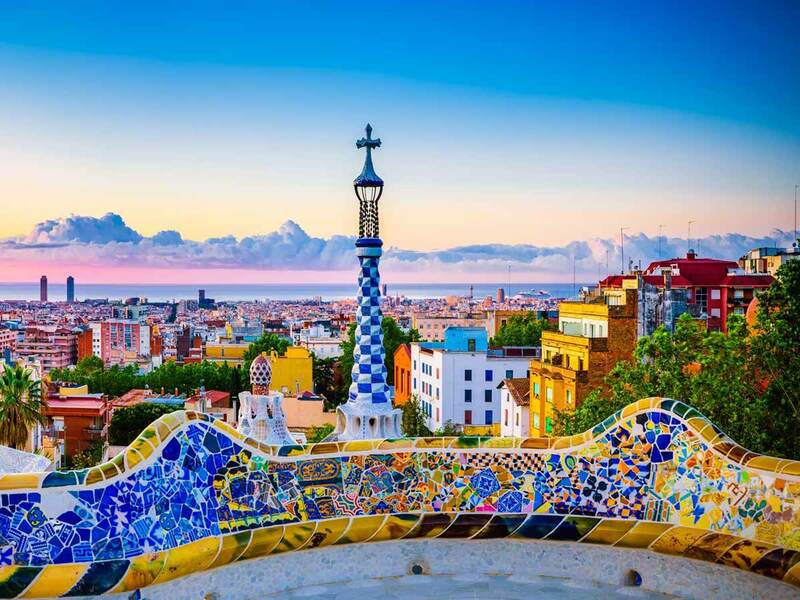 Explore the stunning sights such as the Sagrada Familia Church, savour the taste of local tapas or simply appreciate the art and architecture of this cosmopolitan city. 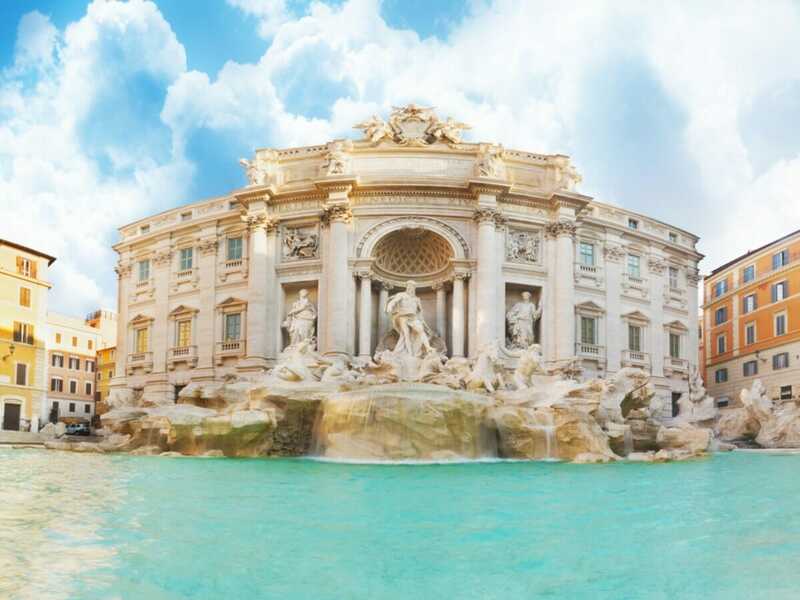 Discover the rich history and natural wonders of the Mediterranean through a 12-Day Grand Mediterranean Cruise. 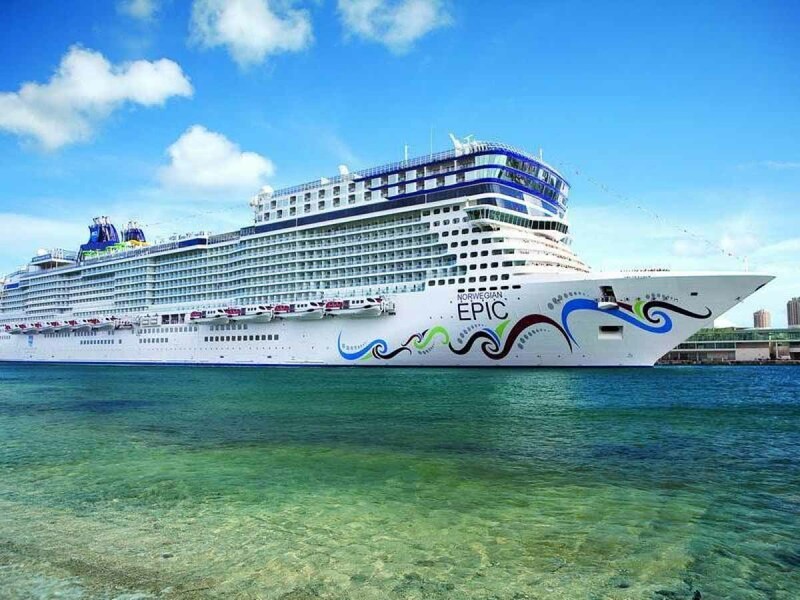 Let the award-winning vessel, Norwegian Epic by Norwegian Cruise Line, take you to another world. Stroll around Valletta City and be captivated by opulent baroque-style churches, museums and palaces. 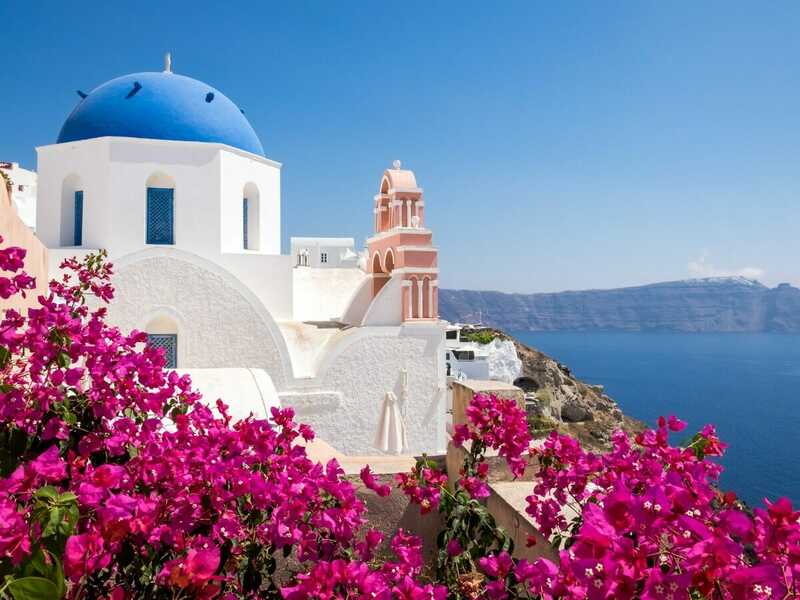 Feast your eyes on the rugged landscapes and walk past the whitewashed, cubiform houses of Santorini Island. Revel in the splendour of Rome and Vatican cities—home to many ancient ruins, such as the Forum, Colosseum and Vatican Museums. Travel based on cruise departure on 10 November 2019. Prices are per person twin share in AUD, and subject to availability and currency fluctuations. Pricing is subject to change until reservation is confirmed. Surcharges may apply. Flights may not be direct or operate daily. Itinerary and inclusions are subject to change. Disruptions to cruising and itinerary may occur. Accommodation is subject to change and availability. Shore excursions and other items such as alcoholic beverages & laundry are an additional cost. Itineraries are subject to change at any time without notice. Due to security reasons, all guests must be on board 2 hours before sailing. Disembarkation usually begins 2 hours after docking. These fares/prices may change due to availability or currency fluctuations.